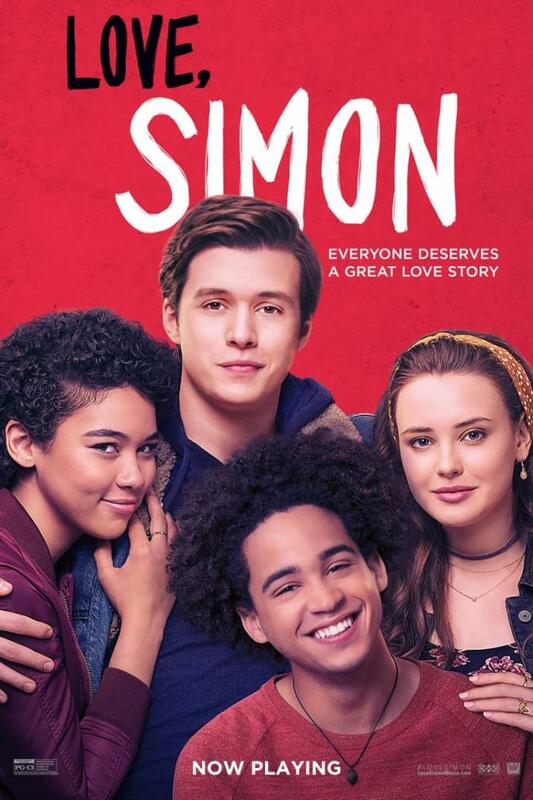 Everybody deserves a perfect love story but for Simon Spier (Nick Robinson), a huge secret gets in the way – nobody knows he is gay. The new romantic comedy, “Love, Simon” released on March 16, 2018 confronts the reality of the teenage world. The movie is adapted from the popular novel “Simon vs. the Homo Sapiens Agenda” by Becky Albertalli published on April 7, 2015. The film time is one hour and 50 minutes not including previews. The movie is currently playing at COBB at Liberty Center along with AMC West Chester 18. Night tickets are currently $11.50 for adults at COBB compared to $11.19 at AMC. After a major post on Quick Secrets (the school’s gossip page), Simon begins writing emails to the mystery person, who goes by the alias Blue. Blue came out as gay on Quick Secrets around the same time he posted about Simon. Simon and Blue begin emailing back and forth and sharing their lives involving how they are waiting to come out as gay, Simon as himself, and Blue as the person behind the alias. Simon really begins to find a connection to the person, but has no clue who he is looking for. He has many encounters with people that he thinks may be Blue but he doesn’t know for sure. This movie is a perfect romantic comedy that expresses the reality of coming out as gay in a teenage society. It had a perfect mix of laughter and tears to move the audience’s feelings. The director incorporated different people that Simon encounters to develop the mysterious Blue character. As the first ever romantic movie to have a gay couple, it was done very well. The plot was developed extremely thoroughly and I enjoyed the different parts that made the movie just more incredible as you continue to watch it. Everybody should be able to find true love, but for Simon Spier his love story is like a Ferris Wheel with the highs and lows going up and down. In the end will Simon find his destined love? See “Love, Simon” to learn how this love story plays out.